Bienvenue! We are specialists in bicycle tours in France as well as multisport tours in France and specialty travel throughout France. 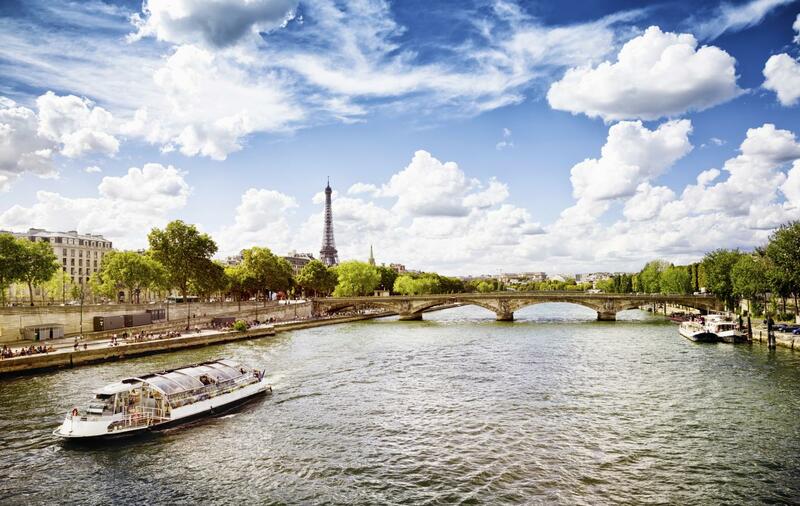 Discover France offers a wide range of France travel services from Paris to the countryside. We are here to give you the best advice for an active France vacation to remember! We are the leaders and specialists in active vacations in France for cycling tours and hiking/walking tours throughout France, with creative itineraries that feature the best of each region at the greatest possible value to you. On our bicycle tour and multisport tour Web pages, you'll find more than 40 different self guided tour itineraries, lasting as few as four days or as many as 14 days. The physical demands of the tours range from easy to challenging - but all offer unique opportunities to discover French culture and lifestyle. Our bicycle tours and walking vacations offer you a great deal of independence yet provide support when you need it. This formula is the best value you will find with nearly all tours priced under 1200 Euros with top quality hotels, and has made for very satisfied travelers! In addition to cycling and walking tour vacations in France, other out-of-the-ordinary experiences are available for the Tour de France Tours, honeymooners, and we can handle custom groups and themes tours. We offer many France travel services that you can choose on an "a la carte" basis as well. We have a separate bike tour website for our challenging cycling tours that are both guided and self guided, including our new mountain bike tours! Of course for our mainstay bicycle tours and walking tours we can customize the itineraries as best we can to meet your travel needs. AWARDS Discover France is the pioneer in specialized self-guided bicycle tours, since 1996. We offer self-guided tours across Europe and France so our clients can enjoy visiting places by bike, keeping their independence, still knowing we are available and will provide support when needed. French Affairs in Vegas Winner 2014 Discover France picked up two awards at the French Affairs conference in Vegas in 2014: Best Regional Operator and Most Active Partner French Affairs Award Winner 2013 In 2013, France Tourism Development Agency Atout France named Discover France Most Active Partner at the 2013 French Affairs Awards./li> NGA Award 2009 National Geographic Adventure magazine : - named our Tour des Pyrenees one of the 25 Best New Trips for 2010 (read the article). - named our Provence Multisport Tour as one of the Best 25 New Trips for 2009. - selected Discover France as one of the Best Outfitters on Earth in 2007! Men's Journal, Outpost, and SmarterTravel.com have all selected trips by Discover France and our brands as Best Trips! Discover France has been recognized annually by the French Government Tourist Office for our extensive product offers and award winning websites. References We are a member of the Adventure Travel Trade Association (ATTA). Discover France participates in a variety of French Government Tourist Office events. In 2014, Discover France enters its 20th year of operations. Trade names are registered with the United States Patent Office. We work with various offices of tourism and employ destination specialists in the regions that we promote. This is the fourth tour we have done with Discover France and as usual everything was excellent. We will definitely be using them again. Experience a self-guided tour ! Discover France Adventures vs Explore!